This wines floral red berry fruit with its pure minerally finesse shows Pinot Noir at its powerful and elegant best. 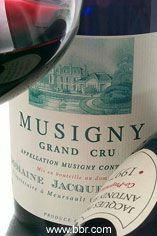 The Wine Advocate - Loads of wild raspberries, strawberries, and cherries can be discerned in the aromatics of the medium-bodied 2000 Musigny. This elegant, delicately-styled wine is complex, concentrated, and pure. 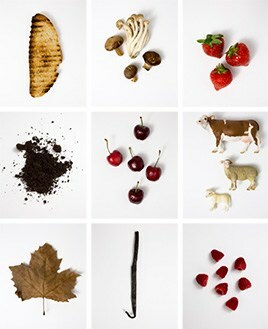 Its flavorful, silky-textured character offers flavors reminiscent of cherry-scented pipe tobacco, spices, and plums. A soft, supple effort, it is a candidate for drinking over the next 7 years. For years Domaine Jacques Prieur was in a slow and seemingly terminal decline, with quantity rather than quality being the byword. The guardian angel arrived in the form of Mercurey-based négociants Antonin Rodet in the late 1980s. Rodet's oenologist, Nadine Gublin, has been the driving force behind the renaissance in quality which now rivals the very finest producers on the Côte. The Domaine is today owned 70% by the Labruyère family and 30% by the Prieurs. The roots of the revival lie in the vineyards where fewer pesticides and herbicides are being used and, come harvest time, there is now a far more rigid selection of the best fruit. The results are a revelation. They have an exceptional range of grand cru vineyards – including the grandest of the grand, such as Montrachet, Musigny and Chambertin. But perhaps because the domaine’s holdings are dispersed up and down the Côte that it has not enjoyed the first rate reputation that one might have expected. The wines are certainly good, but perhaps just short of the flair which would place them in the very top division. There is a conscious decision to pick relatively late and make flamboyantly full-bodied wines.